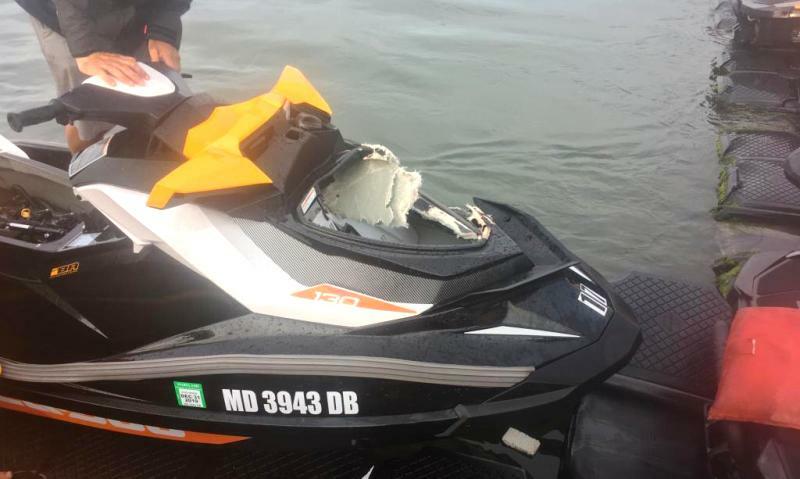 A 23-year-old woman, later identified as Christine Doty from Indiana, Pennsylvania, was critically injured early Saturday evening when the Jet Ski she had been operating collided with another driven by Randhir Muddam, 45, of Houston, Texas. Doty and her passenger, Michael Barnicle, 27, also from Indiana, Pennsylvania, and Muddam, were thrown into the water after the collision. All three were rescued and brought to the Paradise Watersports dock in West Ocean City around 5:25 p.m. Doty suffered neck and head injuries and had briefly lost consciousness. She was taken to the Ocean City Airport by ambulance and flown to a trauma center where she underwent surgery and was last reported in critical condition. The two men declined EMS transport. Muddam has been charged with negligent operation by Maryland Natural Resources Police. Police say both vessels were rentals.